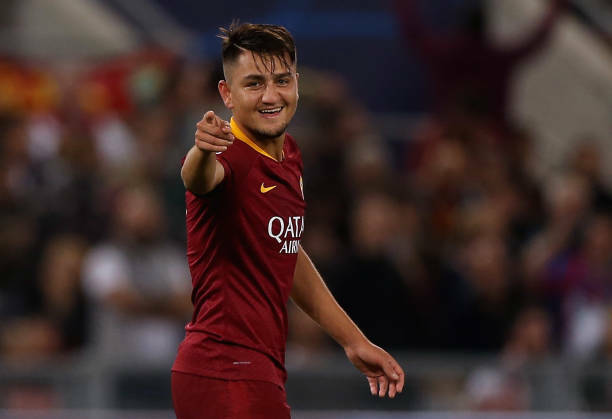 Cengiz Under was the star of the show during AS Roma’s draw with Inter Milan on Sunday evening. The Turkey international scored Roma’s first goal during the 2-2 draw and it was a moment to remember. Under scored a stunning strike from outside the area showing why Europe’s elite are interested in signing the 21-year-old. Fortunately for under, scouts from Arsenal were present to watch the goal. A source close to Under has told Turkish-Football that they are aware of interest from Arsenal and that the talented winger is keen on a move to the Premier League. Meanwhile, Gazzetta dello Sport journalist Nicolo Schira confirmed that Arsenal scouts were present during the Roma v Inter clash on Sunday evening. Schira goes on to state that Roma’s director of football Monchi is willing to offload the Turkey international for €50 million. In today’s climate of astronomical transfer fees, €50 million for one of Europe’s top prospects could be a bargain for Arsenal. AS Roma are back in action this weekend when they take on Cagliari in the Serie A. Arsenal meanwhile face their rivals Manchester United on Wednesday night.